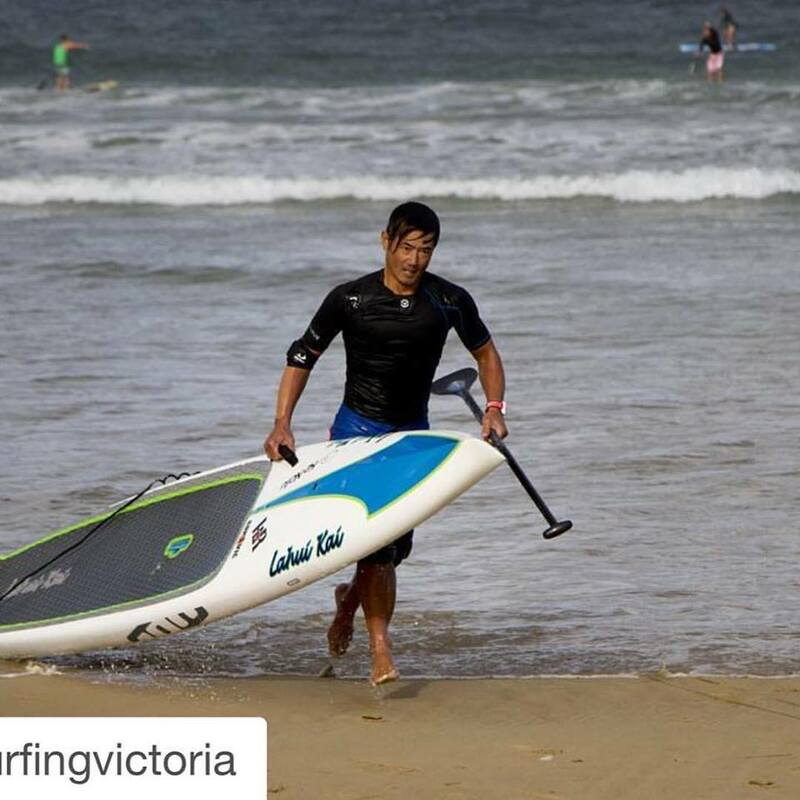 On the beach side of St Kilda sea baths you will find our Red Paddle tent with quality boards of different sizes. Just a few steps away from a long sandy beach buzzing with people and cafes, the perfect place to spend a hot summer day! 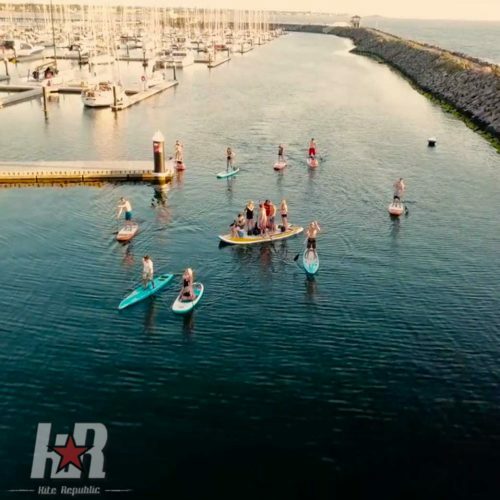 The water in Port Phillip Bay and around St Kilda is normally calm and not to wavy which makes it easy to paddle, both for beginners and all those flat water enthusiasts! We offer lessons, hires as well as party and team building options for bigger groups that will suit people of all ages. Invite your colleagues, friends or family for a fun activity that suits people of all ages! 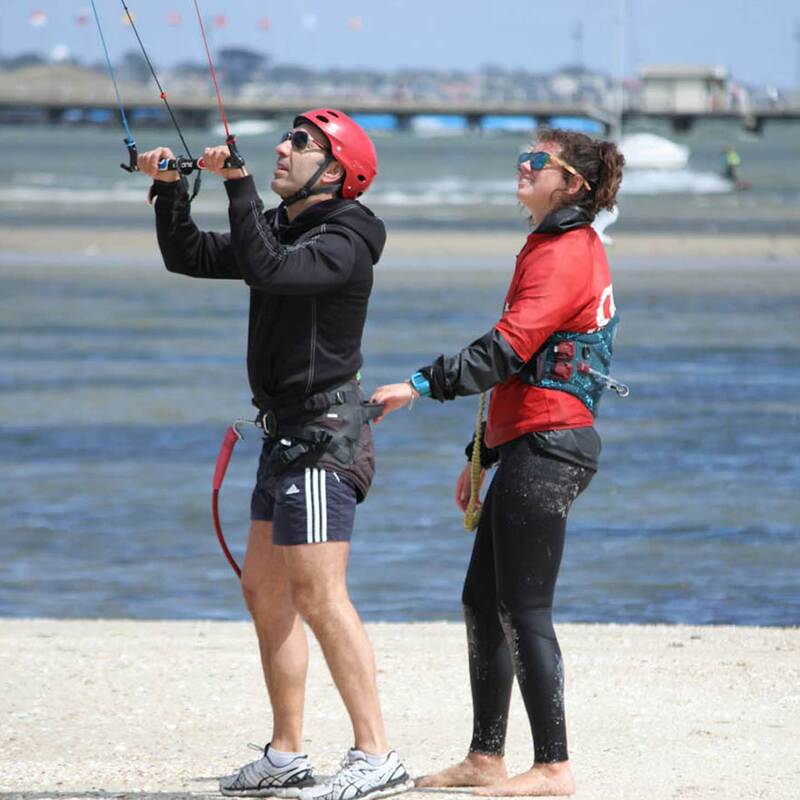 You will have your own instructor who will arrange the paddle session upon your request. We use quality inflatable boards from fanatic and red paddle in different sizes. There is also a giant SUP that fit’s up to 8 people which is perfect for playful competitions and teambuilding! You need to be at least 6 participants to make a group booking or just join one of prescheduled SUP Group lessons Sat and Sunday at 9am. Send an email to shop@kiterepublic.com.au or call us at 03 9537 0644 with your request! Will I fall in? – Maybe, maybe not, that is entirely up to you and your balance! Do I have to be able to swim? – Yes, we expect you to be able to swim, you are responsible for your own safety when you rent a board. What should I bring? – Bring your bathing suit or your wetty if it’s chilly! We provide wetsuits free of charge is you don’t have your own! Since you will be exposed to the sun we suggest that you bring a cap and put on sunscreen. We appreciate if you bring your own life vest for young kids who cannot swim! Where do I put my valuables? – We can store your bag for you in our shop or at our beach locker. How do I keep track of time? – Bring a waterproof watch or a waterproof bag for your phone, that way you can also take pictures! Since you will never be far from the beach you can also ask people on land. Where can I shower afterwards? – There are beach showers close by where you can rinse of the salty water. We also have St Kilda sea baths right next door where you can pay you way in for a hot shower and a locker. Supping is a great way to get to know each other better and get out of the office! We start with a short introduction in the sand, set all paddlers on the right path and go through paddling techniques. We will start with getting everyone comfortable on the boards, finding their balance and strength. Once everyone has gained confidence we’ll explore the marina and test our skills before kicking off some challenges and some team building exercises? We are happy to customise your session to your needs and wishes. Why not activate the kids and take them to the beach for some playful SUP’ing? We will go through the basics of paddleboarding on land and then hit the water for some skill building and team challenges! Have you ever tried playing tag on water or racing with your classmates, it’s a great way to interact and get a great workout without even thinking about it! We start with a short introduction in the sand, set all paddlers on the right path and talk about paddling techniques. Once we all hit the water the fun really begins! Your instructor will guide you to find your balance, get to a comfortable cruising speed and practice different turning skills (before we get to the boats). Together we’ll explore our limits and make our way under the pier into a flatwater area with anchored sailboats and the St Kilda penguins. With some luck you might get to see them climb their way up on the pier around sunset. We finish the session with a cool down on the beach and a nice group picture to remember the day.